A digital paint over of a screenshot of the layout in Maya. 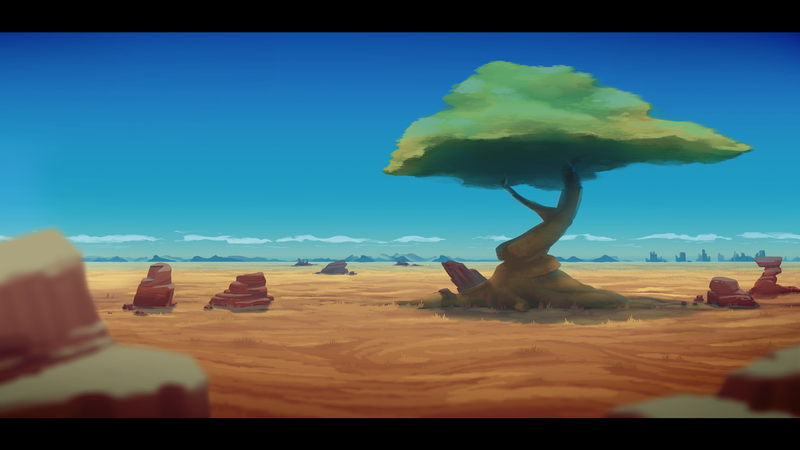 I used Annabelle's matte painting for the distant desert, extended it, and modified it a little. I added a couple of rocks out of focus in the foreground just to frame the composition a bit, and make the immediate foreground less empty. The purpose of this painting is for it to be used as reference for texturing, lighting and rendering.